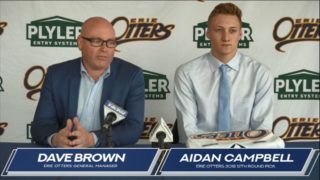 Toronto, ON – The Ontario Hockey League today announced that forward Alex DeBrincat of the Erie Otters is the 2014-15 recipient of the Emms Family Award presented to the OHL’s Rookie of the Year. The 17-year-old from Detroit, Michigan, led all OHL rookies with 51 goals and 53 assists for 104 points in 68 games tying for seventh overall in league scoring. DeBrincat committed to the Otters as a free agent prior to the 2014-15 campaign and finished 59 points ahead of the next highest rookie in scoring this season. 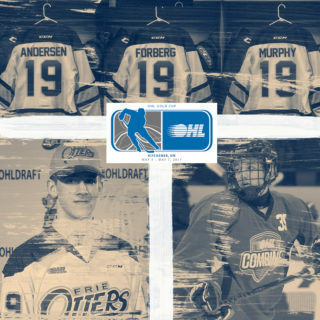 The 2016 NHL Draft prospect earned OHL Rookie of the Month honours three times in September, October, and in March powered by 28 multi-point performances including a six-point game to close out the regular season which tied a franchise high. His plus-minus rating of plus-59 was second only to teammate Connor McDavid’s plus-60. 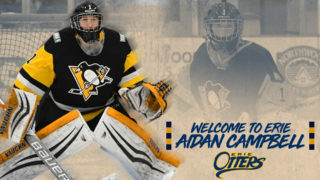 His offensive totals set Otters rookie records this season while his 51 goals rank third and his 104 points rank fifth on the club’s all-time list. 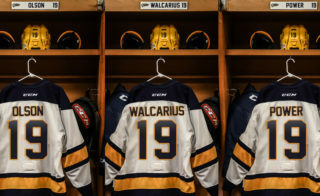 This season he became the 25th OHL rookie to reach 100 points in league history since Marcel Dionne first reached the century mark with St. Catharines in 1969, but is just the ninth rookie to do so since 1983. 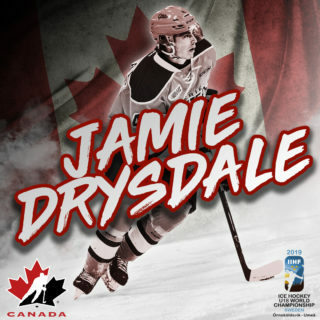 He joins an elite list of under 18-year-old rookies to score both 50 goals and 100 points following David Legwand (Plymouth 1998), Tony Tanti (Oshawa 1981), Wayne Gretzky (Sault Ste. Marie 1978), and Jack Valiquette (Sault Ste. Marie 1974) who all earned Rookie of the Year honours. DeBrincat joins McDavid as the only Otter to be named OHL Rookie of the Year. He is also the sixth American player to win the award following Bryan Berard (Detroit 1995), Legwand (Plymouth 1998), Patrick O’Sullivan (Mississauga 2002), Rob Schremp (Mississauga 2003), and Patrick Kane (London 2007). First presented in 1973, other notable Emms Family Award recipients include Joe Thornton (Sault Ste. Marie 1996), Rick Nash (London 2001), John Tavares (Oshawa 2006), Taylor Hall (Windsor 2008), Aaron Ekblad (Barrie 2012), and Travis Konecny (Ottawa 2014). DeBrincat earned 87 of a possible 95 voting points ahead of runner-up Jakob Chychrun of the Sarnia Sting who received 58 voting points, and Zachary Senyshyn of the Sault Ste. Marie Greyhounds who finished third with 25 points in the voting process. The Emms Family Award will be formally presented to DeBrincat at the OHL’s annual Awards Ceremony at the Hockey Hall of Fame in Toronto on Tuesday June 9. He will be the OHL’s nominee for CHL Rookie of the Year to be announced at the MasterCard Memorial Cup on Saturday May 30. DeBrincat was also named to the OHL’s first All-Rookie team at right wing joined up front by the Sting’s Pavel Zacha who scored 34 points in 37 games at centre, and the Greyhounds’ Tim Gettinger who contributed 25 points in 54 games at left wing. Chychrun headlines the first All-Rookie team blueline after setting a Sting rookie record with 16 goals and finishing the season with 33 points in 42 games as the first overall pick in the 2014 OHL Priority Selection. He is joined by the Greyhounds’ Gustav Bouramman who led all rookie defencemen with 44 points in 67 games. In goal is Michael McNiven who led all rookie netminders with a goals-against-average of 2.79 playing in 24 games for the Owen Sound Attack. Senyshyn finished second in rookie scoring with 45 points in 66 games and headlines the second All-Rookie team at right wing. He is joined up front by Logan Brown of the Windsor Spitfires who finished fifth in rookie scoring with 43 points in 56 games at centre, and second overall pick Adam Mascherin who recorded 29 points in 62 games at left wing for the Kitchener Rangers. Second team defencemen include Victor Mete of the London Knights who finished third in rookie scoring from the blueline with 23 points in 58 games, and Keaton Middleton of the Saginaw Spirit who recorded nine points in 61 games. The Spirit’s Evan Cormier was voted a second All-Rookie team goaltender for his play that included three shutout victories this season.